BUSINESS is on the move at New Norfolk, with new shops opening, old businesses returning and others moving to new locations. 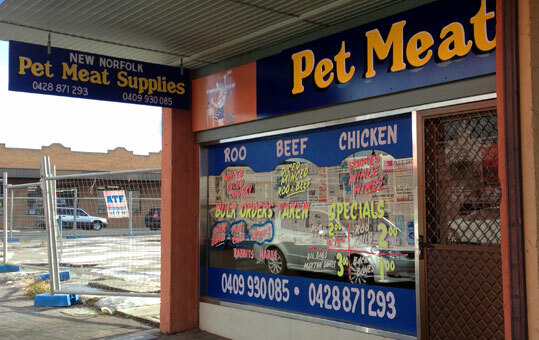 New Norfolk Pet Meat Supplies opens today at 18 High St in the premises occupied by New Norfolk Meat Supply until the recent retirement of butcher Keith Russell after many years in business in the town. The locally owned online business bigredbox.com.au is returning to High St with a "pop-up store" in the old Camelot shop between Banjos Bakery Cafe and the new pet food shop. This will be for a limited time over winter, opening later this month. Meanwhile several local businesses are on the move this month. Ooh Lah Lay Retro Chic has relocated from the Willow Court Nurses' Quarters to 45 Burnett St, the former home of Old Maypole Antiques. Maree's Kitchen has also closed at the Nurses' Quarters and will reopen at 4 Circle St this Saturday, May 25. Long-established Wigston's Sports is moving from its home in central High St to take over the former Valley Vision offices at 2 High St from May 27. What about Aqua Hydroponics in Burnett St? New business opened in Jan this year.